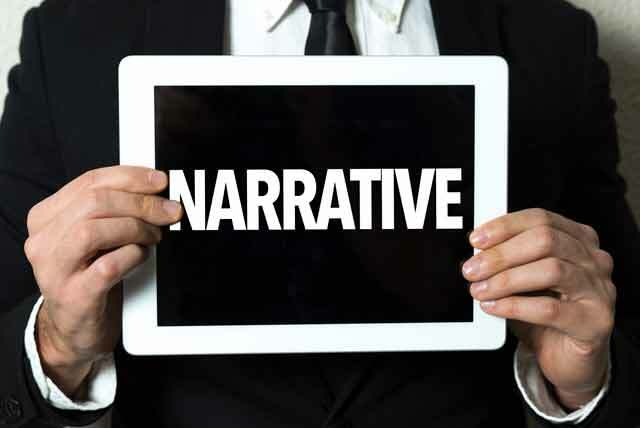 One of the reasons we conservatives feel so besieged these days is because of something called “The Narrative.” It was clever, well thought out, beautifully executed, and undeniably evil, and it has damaged our society tremendously. It is an important reason why everything seems so “upside down” in the western world and so dysfunctional. We in the West are going through a difficult period. It’s undeniable. If we want to win the struggle for values, and I am sure that we eventually will, we need to know how we got here, and how best to defeat the forces arrayed against us. “The Narrative”: False assumptions. Hatred of the West. Understanding “The Narrative” is part of this. The bizarre beliefs and assumptions of “The Narrative” read something like this: Western civilization is evil. It is racist, colonialist, imperialistic and cruel and has created nothing of value in the world. The sooner it is gone, the better. It is responsible for every imaginable evil in the world from capitalism, colonialism and imperialism to homophobia, sexism and racism. Christianity Responsible for the World’s Ills. A central, though obviously false, concept of “The Narrative” is that Christianity, the religion at the heart of western civilization, is just as much to blame for the world’s ills as western civilization itself. It is homophobic, they say, judgmental, sexist and exploitive. What is more, they claim, it is based on the deluded concept that there is an all powerful personal deity to which you can appeal, and we know, they say, that there is no scientific evidence that such a being exists. Identity: It’s Up to You. Christianity, they claim,must go. Only when it, in “The Narrative’s” opinion, and western civilization are gone can various minorities, indigenous peoples, transgender people, LGBTQ individuals and all other oppressed by the western Judeo Christian Christian ethic, be free. Their destinies and identities will never be validated as long as western civilization exists. And, by the way, as far as identity is concerned, whatever you identify yourself as, that’s it. Your identity has nothing to do with your biology, or your body as a physical reality. If you think you are a transgendered unicorn, then so be it. “The Narrative” says there is no such thing as objective morality. It was, they claim, imposed on others by the West when they forced Christianity on the world. There is no right or wrong, good or evil, admirable or reprehensible. There is only what you want, prefer, or enjoy and you should be able to enjoy it without restraint. No one has the right to judge. It’s all a matter of personal choice. According to “The Narrative” individual freedom and personal rights are selfish concepts. Collectivism, run by a powerful government, redistributing wealth and watching you for your own good, is better. Heavy taxation, in which the government takes a majority of your earnings is absolutely necessary for the welfare of the people, as is a large government bureaucracy overseeing it. We’re talking state socialism here, and eventually communism, but that’s certainly better than free market capitalism. Western Civilization Must be Rejected. Those who believe “The Narrative” say that we must abandon the trappings of western civilization and Judeo Christian society. To do so, of course, we must reject all of Eurocentric civilization with its emphasis on facts, logic, Plato, Aristotle, the Bible, Shakespeare, Pascal, Newton and Bacon, along with a host of others. They are “dead white men” anyway. We must embrace the “other” and cultures with tribal, shamanistic views of the universe and natural, organic agricultural practices. Only then will we survive the coming cataclysm when mother earth collapses. It’s coming, by the way. Are you tired yet? You ought to be. Listening to “The Narrative” is tiresome and annoying. Why? Because it is full of half truths and lies. It must be tiring for those espousing it, but it is doubly so for those individuals who recognize nonsense when they see it. They are usually referred to as social and moral conservatives, or just plain deep blue conservative, or just plain people with sense. “The Narrative” appeals to people because it allows them to avoid responsibility and live in a fantasy world. They can pursue their often perverse desires and beliefs without any repercussions. They can remain Marxist college students for the rest of their lives, denying or rewriting history and avoiding responsibility like the plague. But the rest of us suffer as a result of their adolescent attitudes, and when they land in positions of power ( a certain colourful sock wearing individual comes to mind) the nation suffers as well, sometimes to its everlasting detriment. “The Narrative” is now everywhere: in schools, universities, the media, books, magazines, movies, on line and in coffee shops and public places. It is vile and untrue, and, as I said at the beginning of this piece, undeniably evil. So, what are we to do? Our task, as people of integrity and principle, is to oppose it at every turn. In my next post “The Narrative. Part 2” I will explain, more fully, how it came to be, and how best we can combat it.